The 2019 Honours in Vision Science Information Brochure details the research projects that are available for prospective Honours and Masters Students in the Department of Optometry and Vision Sciences for 2019. Students will also find the brochure useful as it gives an indication of the diversity of research within the Department and also has information about potential projects and supervisors. If you are interested in any of the available projects as part of an Honours programme, apply online . To view a list of only the Honours Projects for 2019 , please visit Sonia. Sonia is the honours research project database contains all the research projects that are available to Honours applicants for 2019 Start Year Intake. Once you have reviewed available projects, please contact one or more Laboratory Heads, via email, whose research areas interest you. Please provide them with your curriculum vitae and academic transcripts and arrange a meeting to discuss a project in more detail. You will need to enter your preferences in your online application via Sonia. Heads up! 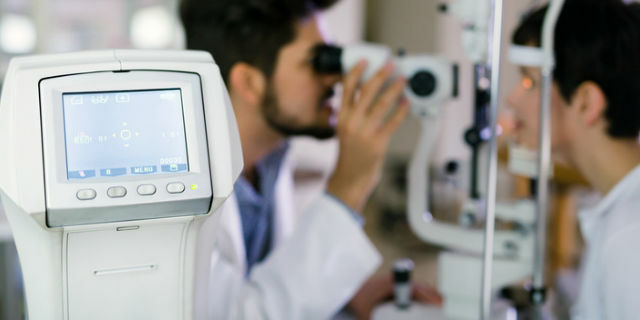 Our department has 13 principal research groups that investigate a vast range of topics related to vision science and optometry, including clinic-based research and laboratory-based research on the eye and brain in health and disease. Characterizing single red and white blood cell flow through human retinal capillary networks Adaptive optics (AO) retinal imaging now permits the spatial resolution to visualize the finest capillaries in the eye and the temporal resolution to observe passage of single red and white blood cells through the smallest arteriolar and venular retinal networks. The fine details of such blood flow patterns has not yet been fully documented, rendered difficult because of the high speeds of cell flow, the inherently low contrast of cell images, and limited imaging durations imposed by photo-toxicity of the imaging light itself. With the recent lifting of these technical issues, a novel project emerges to characterize aspects of normal flow such as: cell deformability as a function of vessel caliber; variation in flow velocity through different parts of the network; and the influence of the cardiac cycle on flow pulsatility.